With the spring in our step and the subtle hint of a warm breeze, it seems like summer has finally arrived and we are seeing stripes! 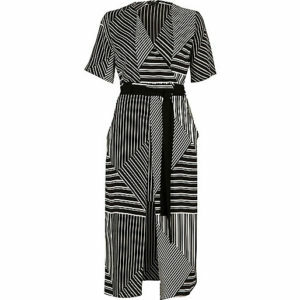 Stripes were featured all over the Spring Summer catwalks of Fendi, Mulberry and Chole. Each style and colour filtering into the much loved British highstreet. Don’t let the rumours scare you! Stripes can be an amazing way to create gorgeous curves or smooth your silhouette depending on what the wearer wants to achieve. You just have to know how to wear them. Stripes can be a fantastic addition to your work wear wardrobe; adding that little bit of fun to your 9-5! To keep the look, work appropriate; opt for a neutral stripe or some monochrome clashing tone. A beautifully crafted wrap dress will certainly do the job and will ensure you are flattering your shape and feeling confident. This dress from River Island is a perfect example. The block colour waist tie helps to clinch your waist in and creates a beautiful feminine shape whilst the miss-matched stripe directions help to follow the natural movement in the body, avoiding enhancing any problem areas. Try to stay away from block horizontal stripes, these will enhance certain areas and can create a very disproportionate body shape. 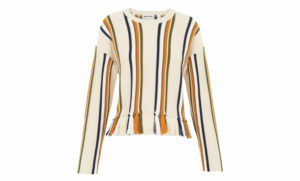 For those spring months, adding a simple striped top ensue you are on trend. Opt for some brighter colours to give a nod to the gorgeous spring colour palette we are seeing on the highstreets. Thin stripes will keep your top half in proportion and are a better option for ladies who have broad shoulders or larger chests. 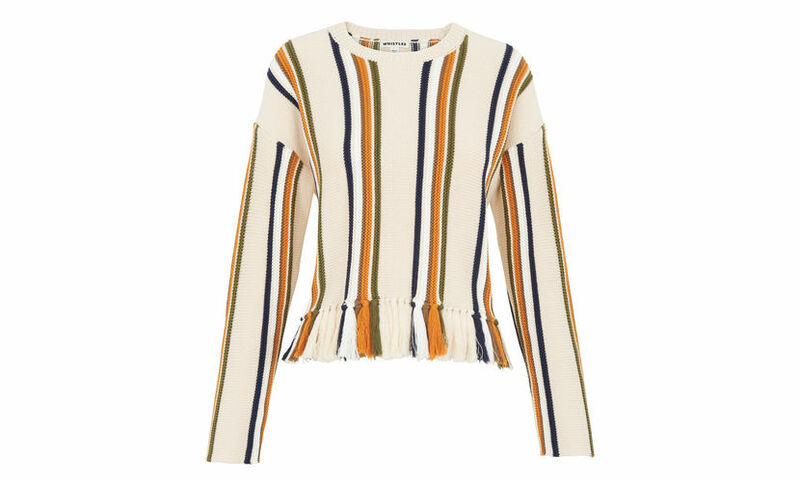 This new season Whistles top is a beauty! Thin stripes teamed with the soft tassels, which help to create a subtle peplum shape, will highlight those waists while still giving you coverage. If you are conscious of your arms, avoid stripes that continue onto long sleeves. Instead, choses a short-sleeved option and team it with a gorgeous fitted blazer to give you that extra confidence boost. Be bold! Why not add some stripes into your party wardrobe to get you feeling ready for that much-needed ladies’ night? A great way of doing this by investing in some patterned trousers. It’s not as scary as you think! Vertical stripes will elongate your legs and keep it simple by teaming it with a plain longlined blazer and top, allowing your trouser to remain your key fashion piece. 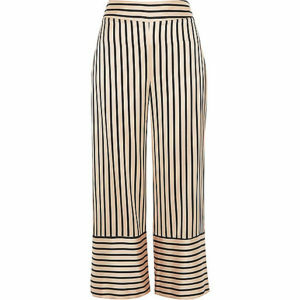 This pair form River Island tick all the boxes: horizontal stripes teamed with the soft fabric will keep you not only on trend but comfortable too! Make sure you try them on! 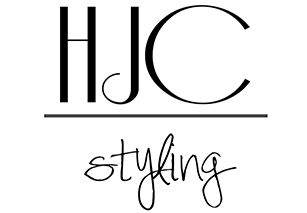 The length of trousers have a huge impact on your proportion and height. Ensure they fit you correctly and are at a length which suits you. If you are still not convinced, introduce some stripes to any outfit buy investing in a gorgeous accessory piece. These won’t go out of fashion and you will be able to team these items with multiple pieces in your wardrobe!